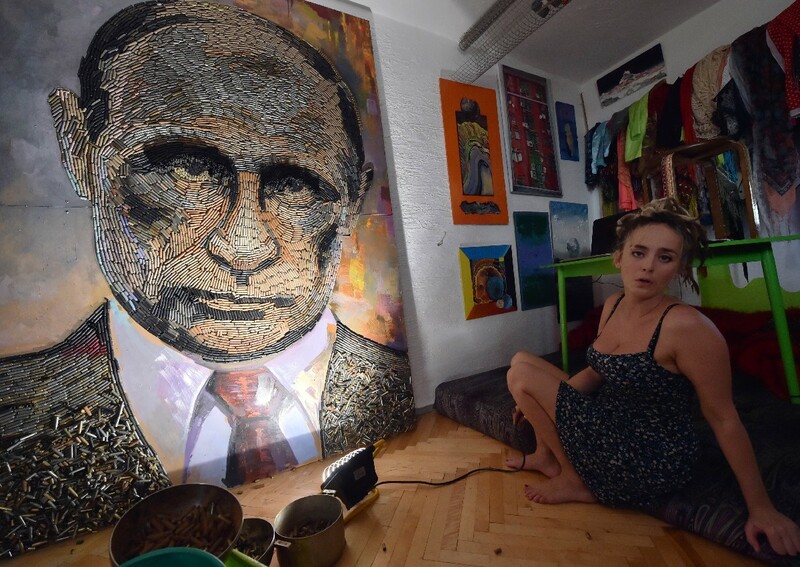 Ukrainian artist Daria Marchenko casts light on her portrait of Russian President Vladimir Putin in her studio in Kiev on August 7, 2015. 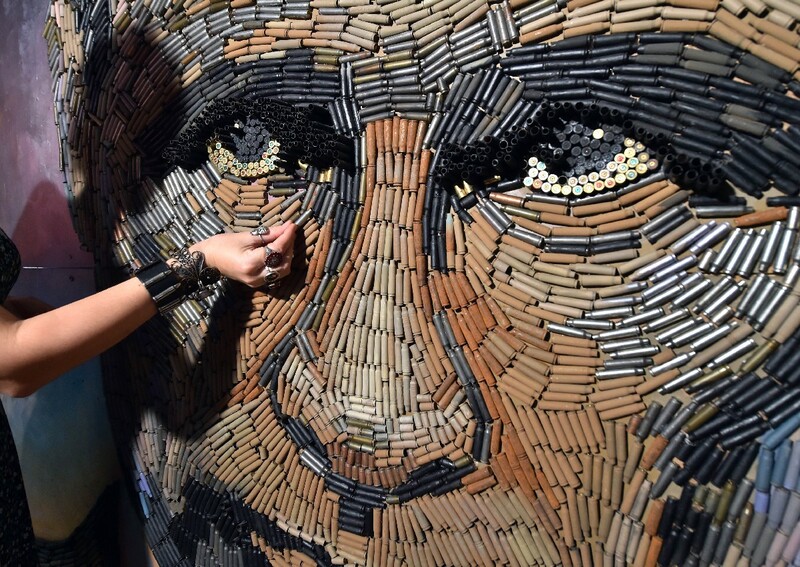 KIEV - A young Ukrainian artist has captured global media attention by creating a striking portrait of Russian President Vladimir Putin out of 5,000 bullet shells collected in the separatist east. 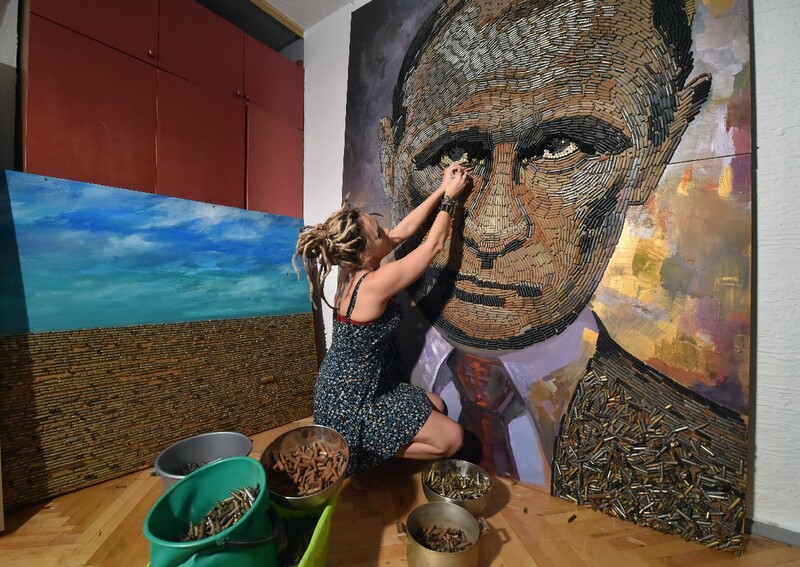 Daria Marchenko's "The Face of War" - a remarkably realistic and politically tinged depiction of Putin in a dark suit and red tie - stands more than two metres (nearly seven feet) tall and dominates the artist's studio apartment. "Sleeping in the same room with him was a bit scary at first," says the 33-year-old artist and graphics designer. "But I got used to it." 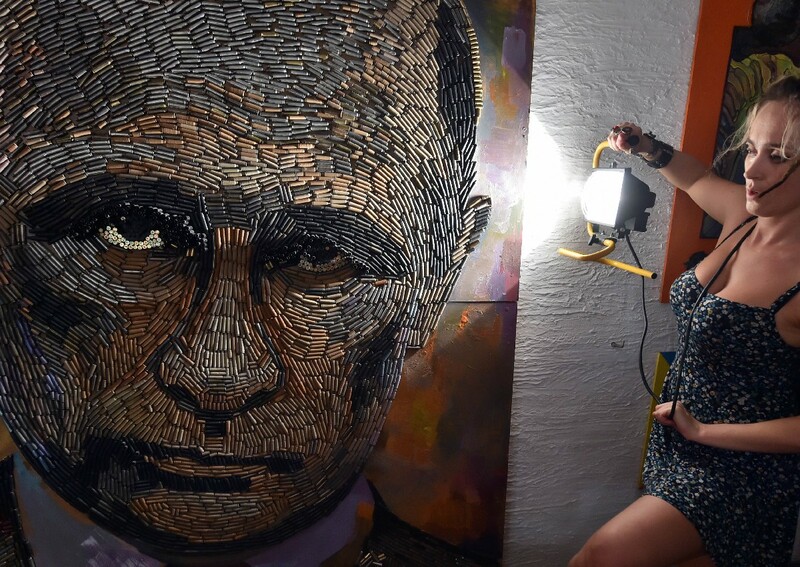 She draws the window curtains and picks up a hand-held lamp to reveal how the 62-year-old Russian leader's face changes expression under different light. His deep-set eyes turn from gloomy to more lighthearted as Marchenko - her own right eyebrow pierced and fingers weighed down by heavy metal rings - shines the lamp around her unusual work. "He can be proud, confused or serious," says the artist. 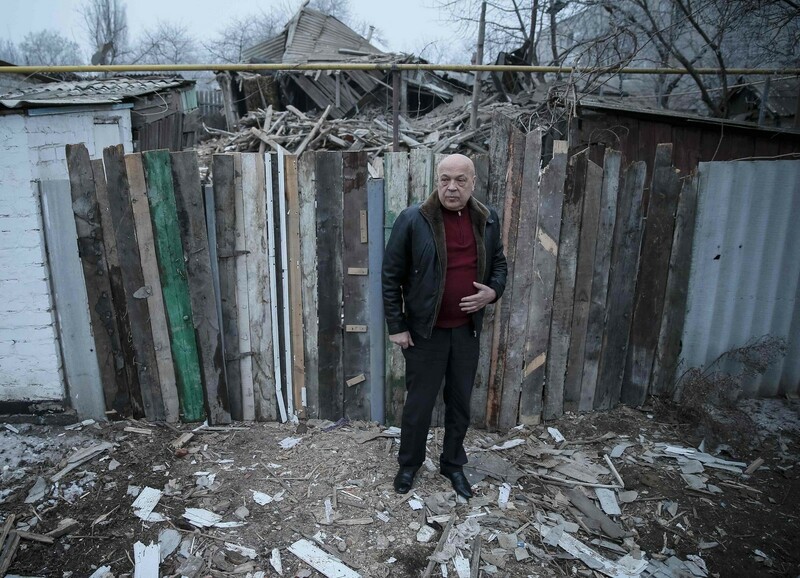 "He can look like a person on a Soviet poster or he can be Superman." Her story has been covered by Britain's top media outlets as well as major European and Australian papers and television channels. 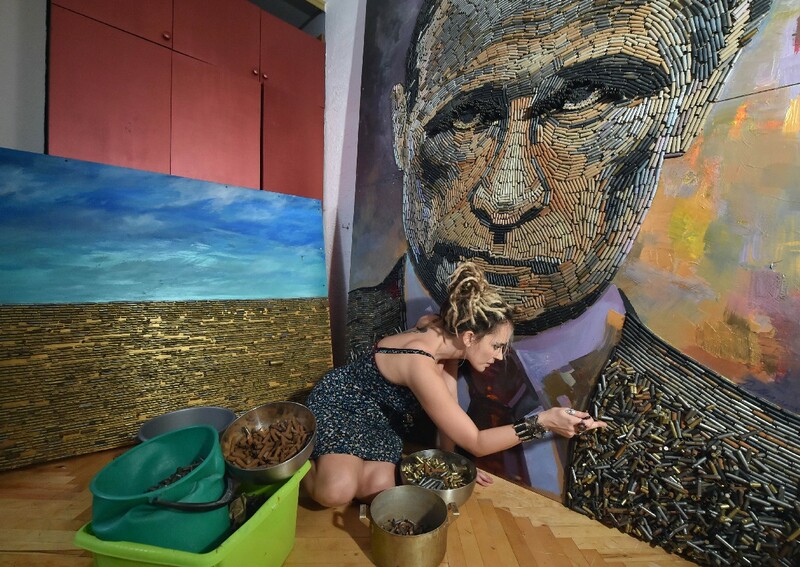 A young Ukrainian artist has captured global media attention by creating a striking portrait of Russian President Vladimir Putin out of 5,000 bullet shells collected in the separatist east. 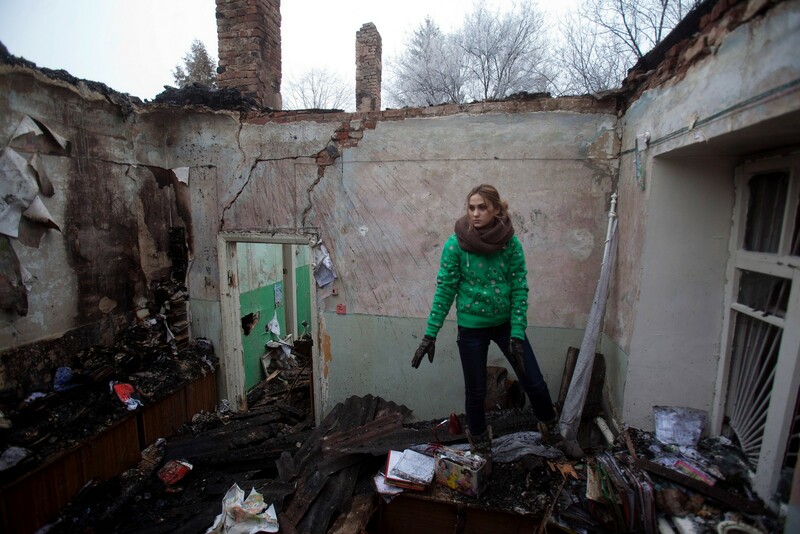 Her first handful of shells came from her boyfriend - an active member of the Euromaidan movement that toppled the corruption-stained and deeply unpopular president Viktor Yanukovych and forced him into self-imposed Russian exile. 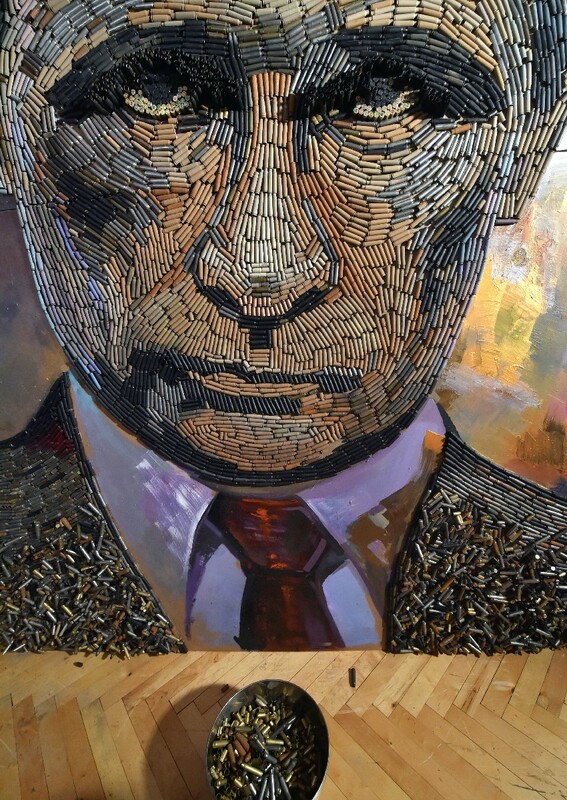 Putin's portrait is the first in a series entitled "The Five Elements of War". 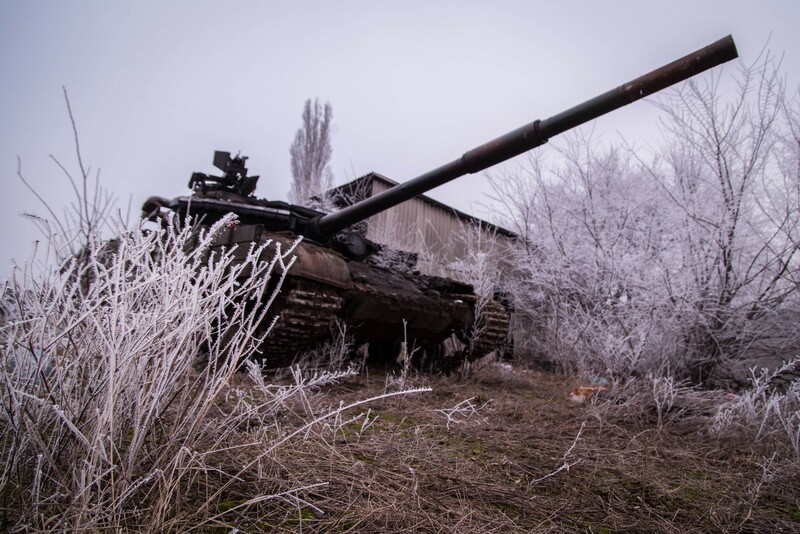 Two others - to be possibly constructed out of weapons or other battle remnants from the devastated front - will be dedicated to the "heart and spirit" of warfare, Marchenkpo says. 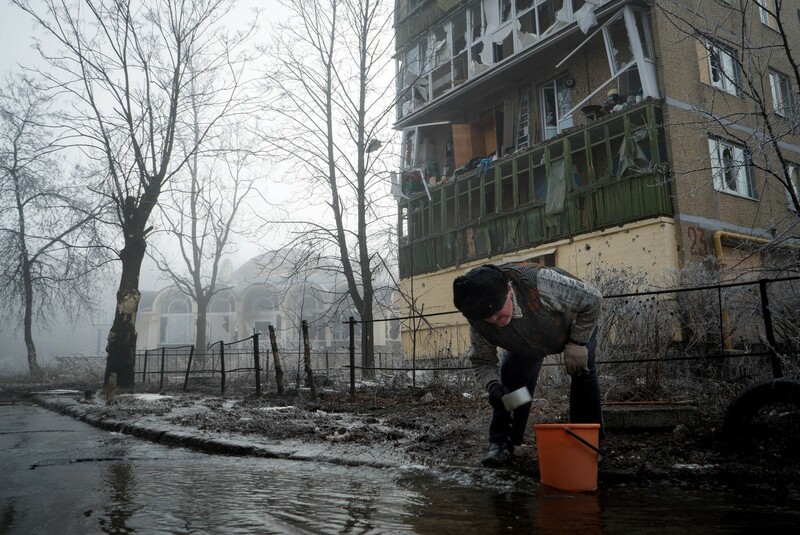 "The world does not realise just how much my country has lost. So this desire to work with more and more shells came naturally." 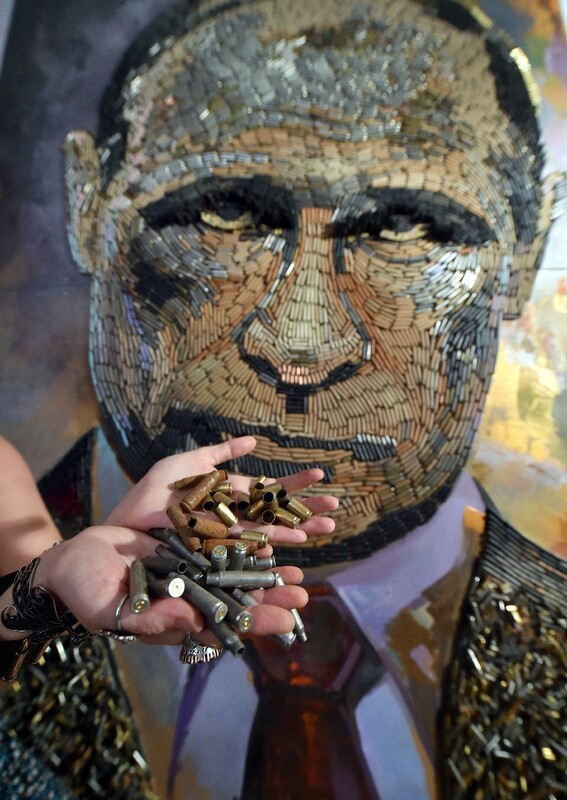 Putin's portrait is the first in a series entitled "The Five Elements of War". 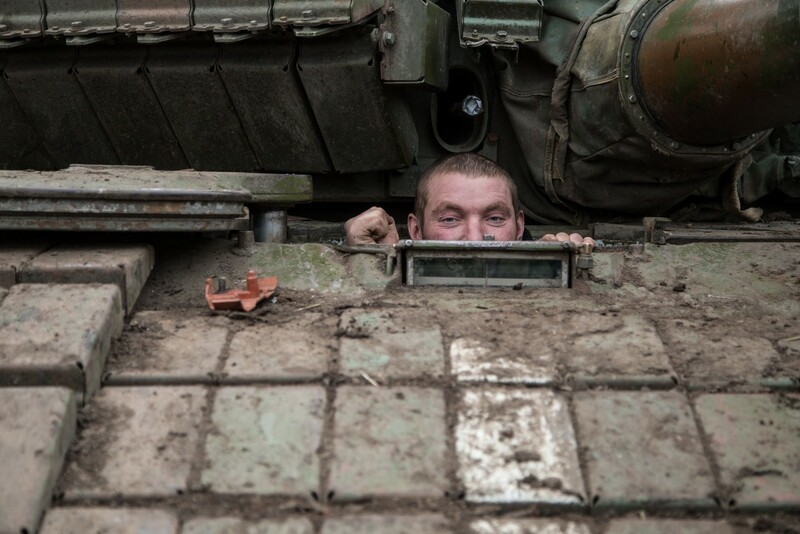 Two others - to be possibly constructed out of weapons or other battle remnants from the devastated front - will be dedicated to the "heart and spirit" of warfare, Marchenkpo says. 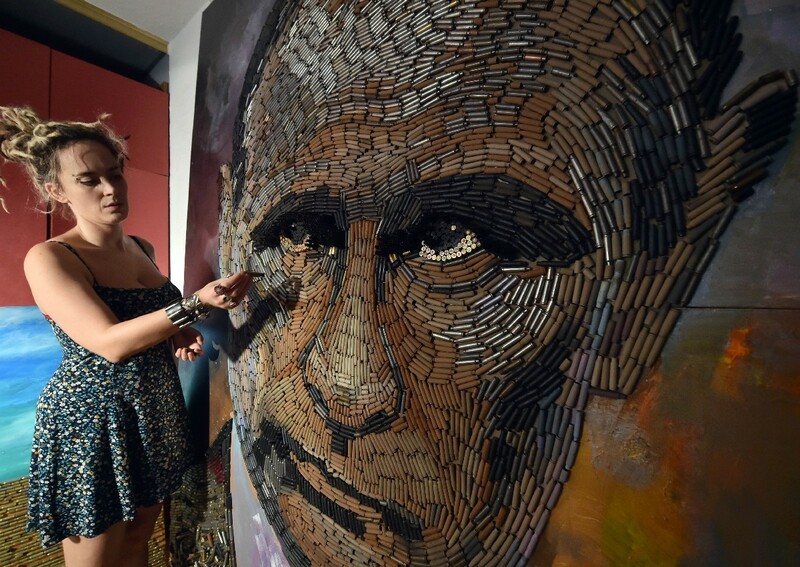 But Marchenko is certain that the Russian leader - more and more portrayed as a hero in Moscow's art galleries - has already seen images of her work. 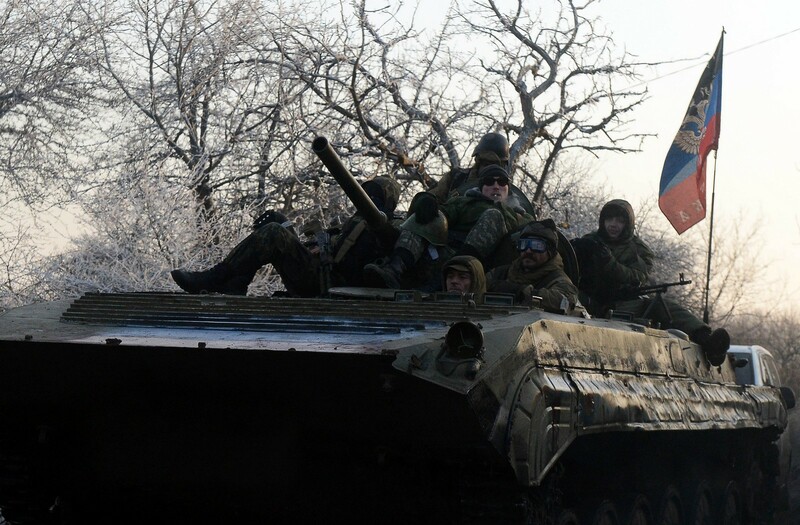 Ukrainian forces have come under fire from pro-Russian rebels over 100 times in the last 24 hours, despite a ceasefire coming into force at midnight on Saturday, Ukraine's Foreign Minister Pavlo Klimkin said Monday. 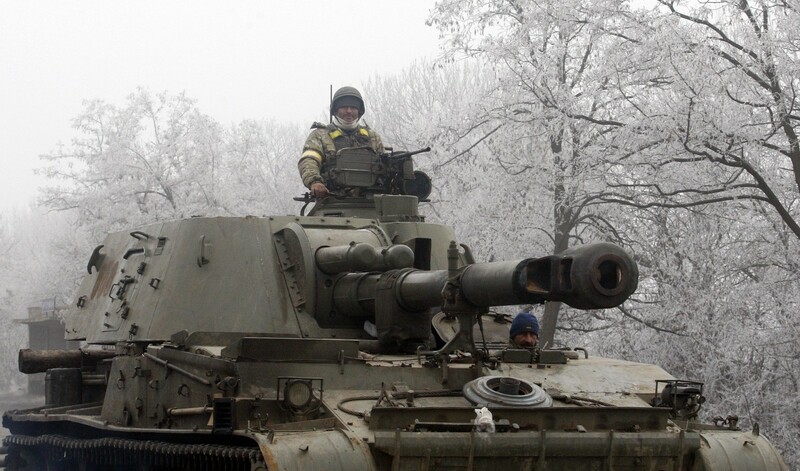 "We and the Ukraine armed forces are fully observing the ceasefire regime but unfortunately in response we have received 112 fire attacks in the past 24 hours from the terrorists of Donetsk and Lugansk," Klimkin said during a visit to Sofia. 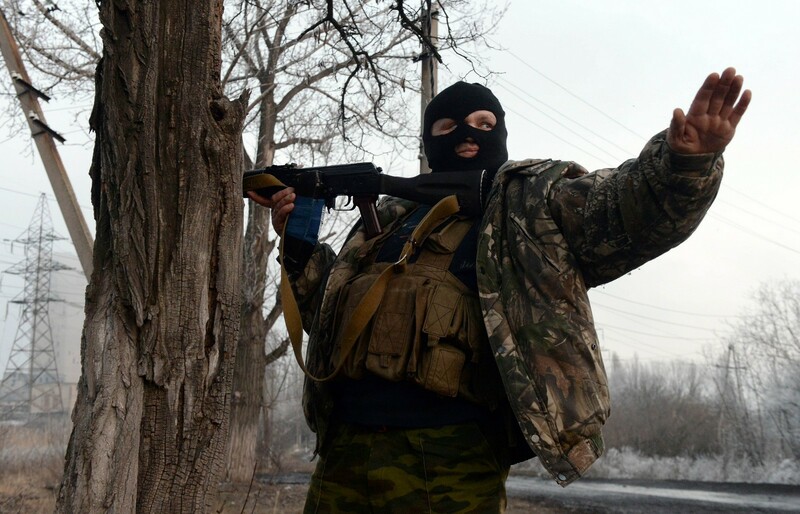 He added that the attacks were "shellings with mortar artillery and Grad (rockets)." 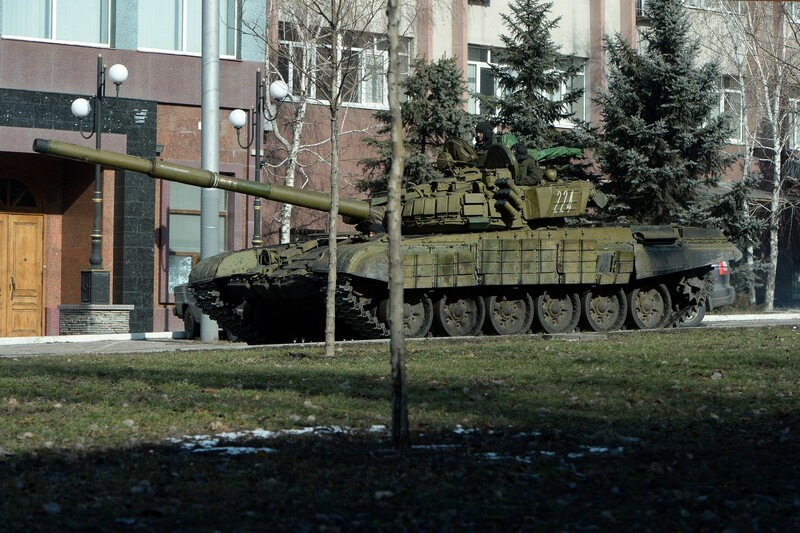 "Unfortunately the situation remains extremely tense," he said. 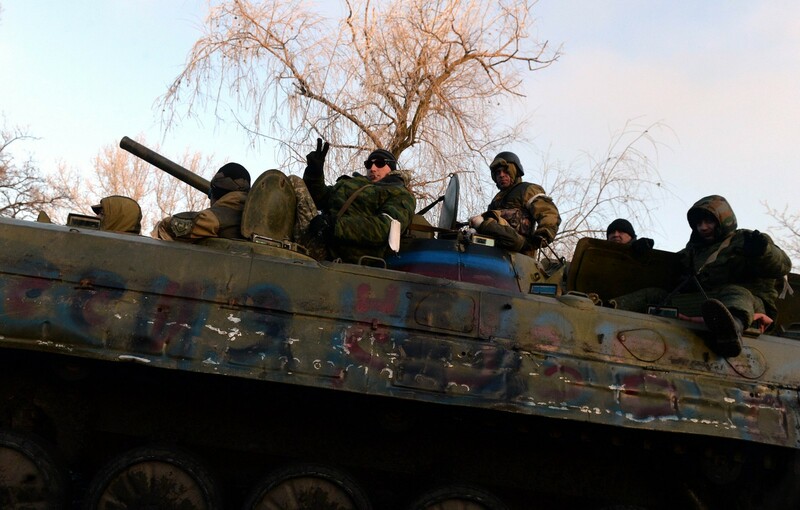 The shaky new truce in Ukraine was already at risk Monday as Kiev said there was "no question" of its troops pulling back heavy weapons, as required under a European-mediated truce agreed last week. 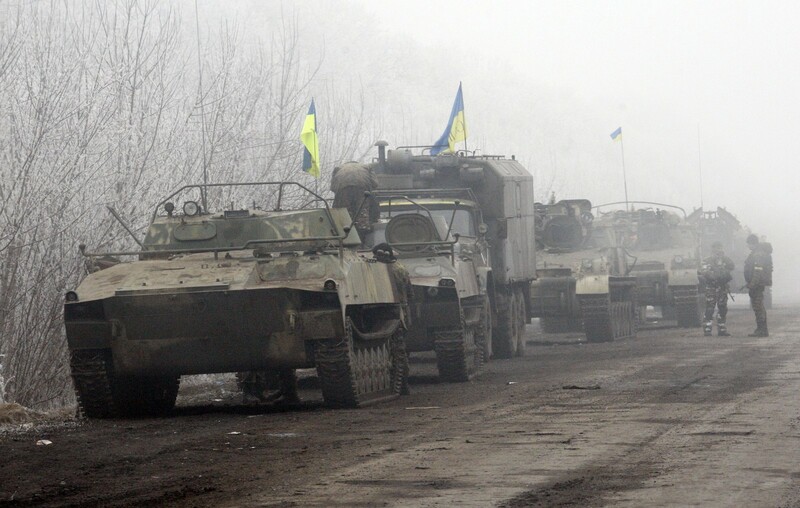 Speaking at a press conference in Sofia, Klimkin insisted however that: "We are fully committed to adhering to the Minsk agreements. For us this is the only possible way to peace." 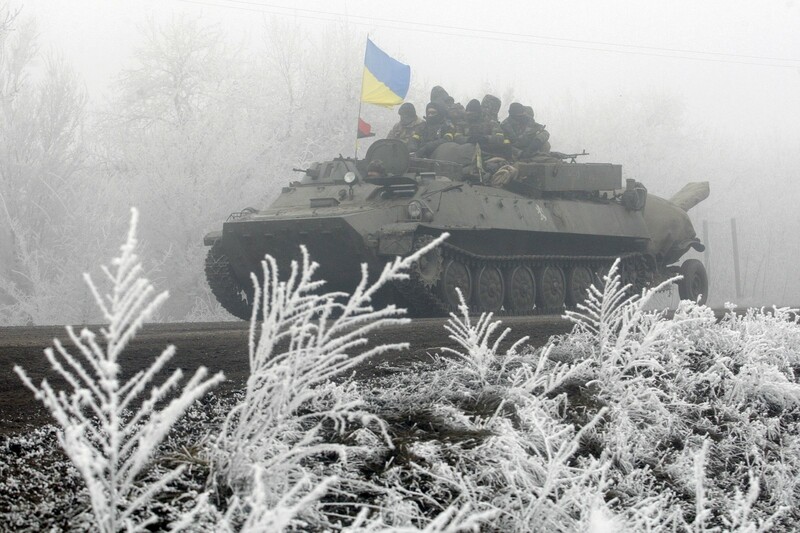 "What is necessary now is a stopping of the fire, a withdrawal of the heavy artillery and a start of the exchange of prisoners so that humanitarian aid can get to the people and they receive at least medications and foodstuffs and we can start the political process again." 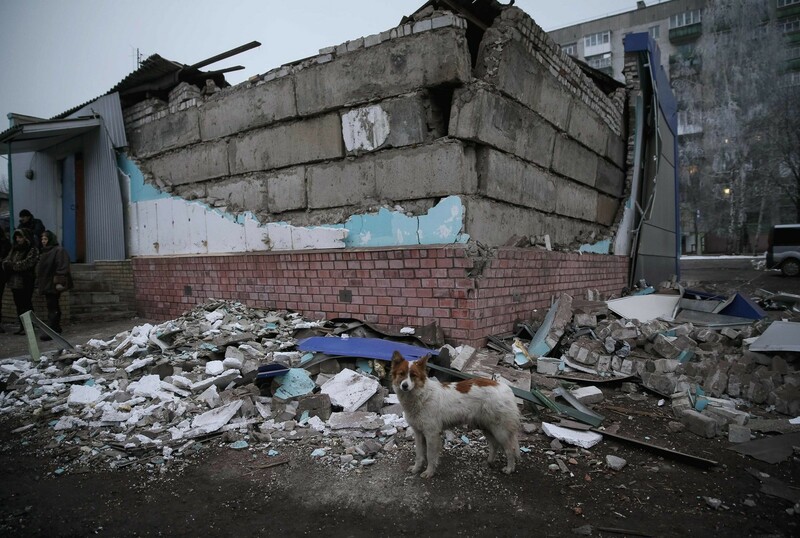 The Ukrainian military said on Sunday a ceasefire between government troops and pro-Russian separatists in east Ukraine is being observed "in general" and that rebel attacks are infrequent and not widespread. 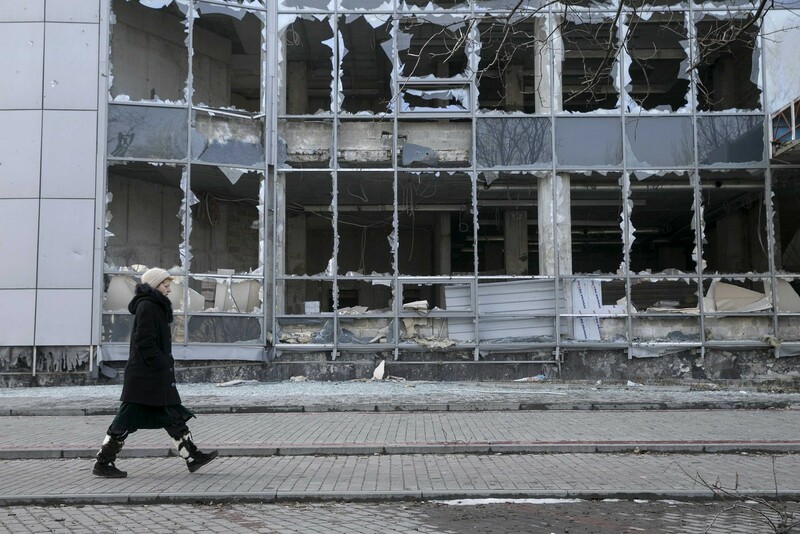 The truce envisages the creation of a neutral "buffer zone" and withdrawal of heavy weapons responsible for many of the 5,000 casualties in a conflict that began almost a year ago and gave rise to the worst crisis in relations between Russia and the West since the Cold War a generation ago. 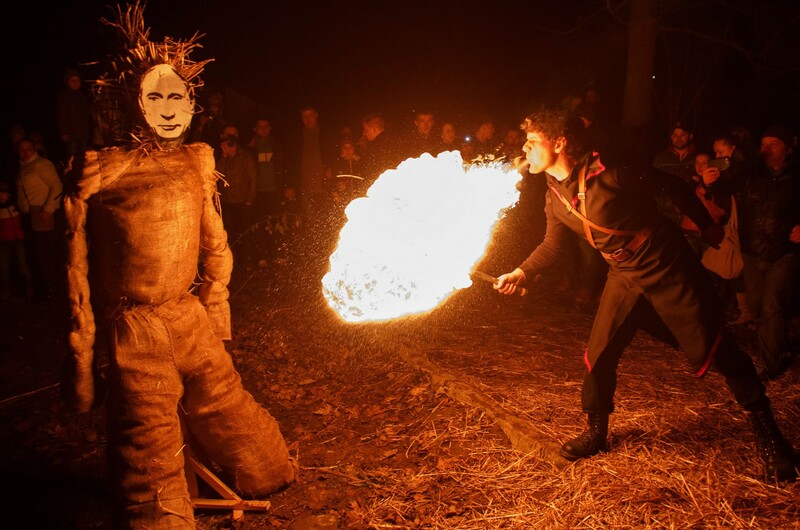 A man blows fire on a scarecrow with a mask depicting Russian president Vladimir Putin during celebrations to say farewell to winter in the western Ukrainian city of Uzhgorod on February 15, 2015.